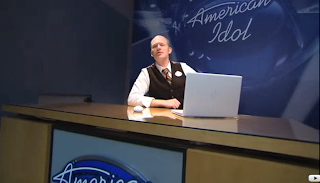 After months and months of buildup on the CoasterRadio.com podcast, it was finally time to walk into Studio 2B at The American Idol Experience and give it a shot. I was in Orlando with my two brothers, Greg and Ryan. Even though we're all married with families, we still try to take a theme park trip together every few years... just like the old days. 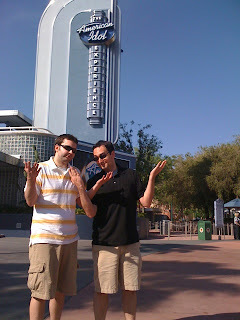 Greg and Ryan were totally supportive of this mission, especially as it related to CoasterRadio.com. When we interviewed former AIE winner Stacey Lantz on the podcast, she had a lot of valuable advice. One of the most important things she mentioned was getting to the park as soon as it opens. Since auditions for the AIE start right at 9am, she suggested being one of the first in line so that I'd have a better shot of making it into one of the 18 contestant slots that they have for the six AIE shows during the day. But, since I was on vacation with my brothers, I felt bad about making them get up early and head to Disney's Hollywood Studios for the rope drop. Amazingly, we got to the studios around 9:45am. After a quick walk down Hollywood Boulevard, we made it to the front doors of The American Idol Experience around 10:00am. The weird thing was, the place looked deserted. The queue line was there, with room for 100 people. The photos of past American Idol winners were there. But no one else was in line! 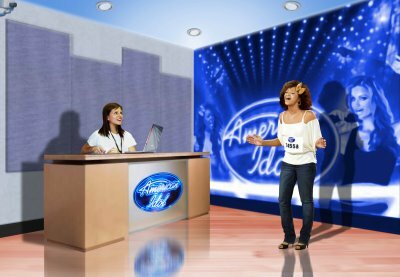 Just as I was about to knock on the doors to the attraction, a lady came out dressed as a television page and said "Welcome to your American Idol Experience!" We all laughed... partly out of politeness, partly out of nervousness and partly because it was a really strange way to say hello. She invited us inside and asked if any of us worked for the Walt Disney Company, Fremantle Media or a dozen other companies. When we said no, she pointed our attention to a large TV screen. 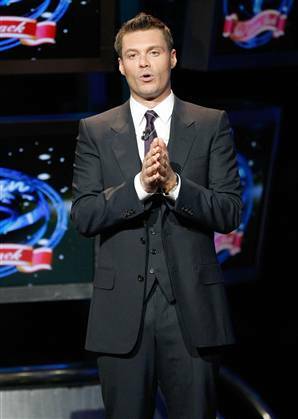 We were then greeted by the tanned, happy, smiling face of American Idol host Ryan Seacrest. Just seeing him was enough to make us all laugh again, but not out of politeness this time. He said something about how we were going to experience the same thing that thousands of others across the country have... the chance to sing in front of an American Idol producer. At this point, I wasn't feeling very special. Seacrest was reminding me that so far, I had only made it as far as people like William Hung and the "Pants on the Ground" guy. The smiley TV host was making me feel very ordinary. 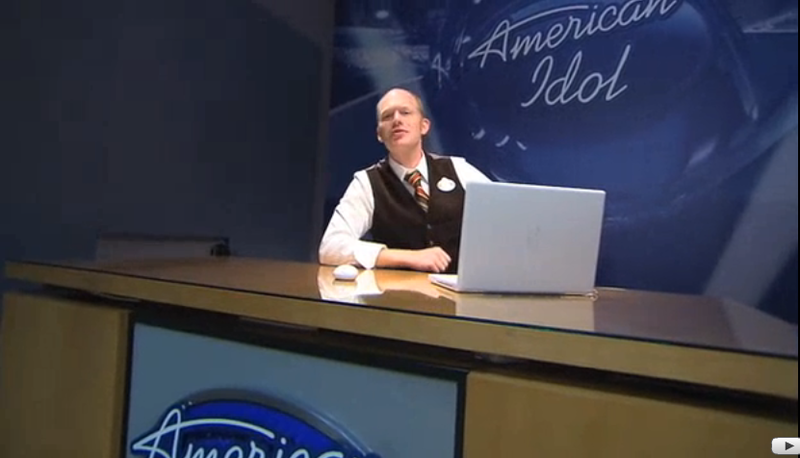 Park guests (who don't work for Disney) are invited to sing 30-seconds of any song for the AIE "casting directors." The catch is that you sing acapella (without music). If you make it past that round, you are sent into the Coca Cola "Red Room" where you are invited to pick up an iPod that contains every song available on the AIE song list. You're allowed to stay in there as long as you want to practice with the actual backing tracks that they use in the show. Once you're ready, you move into another room with one of the actual producers of the show. Here, you actually sing with a microphone and a sound system along with the backing track. The producer even points an HD video camera at you to see what you look like on screen. If you impress that producer, you're in. They assign you to one of six preliminary shows that happen throughout the day. 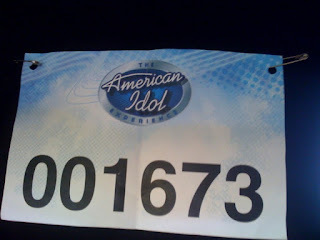 My brother Ryan was also going to audition. He's something of a musical theater star here in the DC area, so this type of thing is natural for him. When we walked down the hall to the audition rooms and Ryan volunteered to go first. Before we could say "break a leg," he was whisked away behind closed doors. That left me standing outside the room with Greg... just waiting... and getting more and more nervous by the minute. "If they're scrutinizing a musical theater star, they're really going to dislike me!" "I don't want to see you guys wait. I'm the Executive Producer of the show and if you don't mind, I'll listen to your audition." Now we're talking! I wasn't going to waste any time with a "casting director," I was going to audition for the man in charge! Now, I don't have any pictures of me at this point. I was so nervous, I didn't think to pull out my camera. Yes, imagine me in a small room, with the producer sitting behind that desk with a laptop. Greg was also in the room. I could tell from the smile on his face, that he wasn't going to miss a second of this debacle! When we interviewed Stacey, she made the point that this first audition was extremely important. She said the producers were not only looking for people who could sing, but also for those with personality. She said that during that first audition, it was important to sing well, but also to show that you'd have a presence on stage. So, I became "Mr. Personality." After a few minutes of small talk (possibly done to make me comfortable), he asked me to sing my 30-second song. I had chosen the classic Elvis Presley tune "Heartbreak Hotel" as my audition piece. It's a great rock tune and it shows off my (meager) vocal range. To my surprise, I did pretty well! I was nervous as hell, as evidence my my shaking hands. Buy I hit all the high notes. I added a bit of "soul" to the song. I even pumped my fist in the air to show some emotion. I got about half-way though the second verse when the producer said "Thank You. Thank You." I had heard those words in auditions before and it usually means "Don't call us, we'll call you." At the time, I have to confess, I didn't know what he meant. Did it intrigue him in a good way, like how Kelly Clarkson's voice is intriguing? Or did it intrigue him in a bad way, like how William Hung intrigued the nation? It must have been OK, because he asked me what songs I was interesting in singing if I made it onto the big stage. I confessed that I had been prepping for this moment (I didn't mention the podcast), and that I was totally ready to sing "Sway" or "Walking in Memphis." He typed away on his laptop for a minute, furrowed his brow and said "Really? I'm sorry, both of those songs have already been chosen today by other contestants!" I was shocked! The two songs that I had practiced for months were going to be unavailable because two other contestants who had already passed their auditions were going to sing them. Now I realized why Stacey said I needed to get there right as the park opened! But this was the Executive Producer! He had an idea! He figured that since both contestants were in the same show, only one would go on to the finale at the end of the day. So, if I was selected for a show, I could take the song from whichever contestant didn't move on. With that, he said I was officially moving on to the next round. I was headed to the "Red Room!" He gave me an official American Idol Experience contestant number and sent me off to practice. When I left the room, I saw that Ryan had also made it to the second round and was already waiting for us in the Red Room. In this video, you can see the pressure mount as me and Ryan are listening to our songs and preparing to audition in front of the producer. Will we both make it to the "big stage". Or will this be as far as we go with "The American Idol Experience." By the way, if you don't want to wait for Part 3, you can listen to the podcast episode where I tell the whole story!